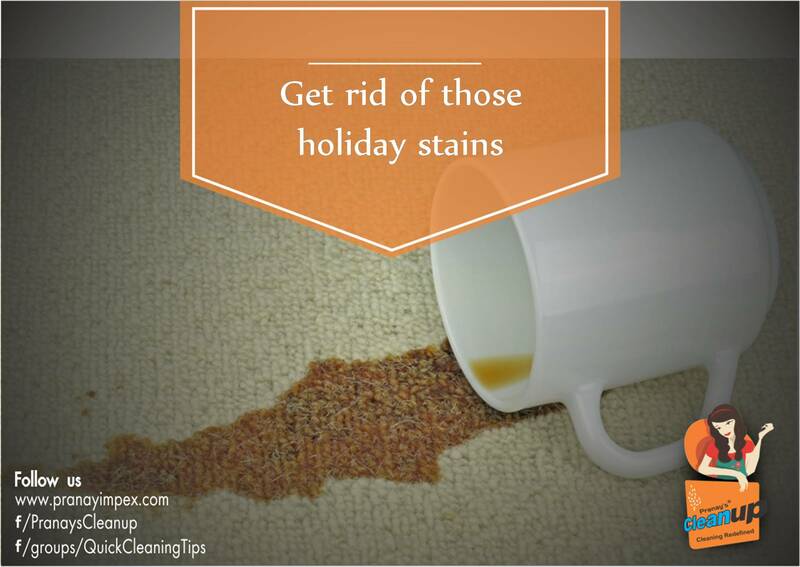 Stains are inevitable when we think of celebrations. Split wine, grease and the art courtesy of children leave us with great stories to tell but some of the toughest stains to get rid of. Here is a chart to help you deal with these stains with simple ingredients like vinegar, alcohol, detergent, lemon juice and water.